Vin Diesel Did His Own Carpool Karaoke With His Adorable Kids: Watch! Dom likes his tunes. Vin Diesel did his own version of James Corden’s Carpool Karaoke with his two kids on Thursday, May 4 — and it was adorable. 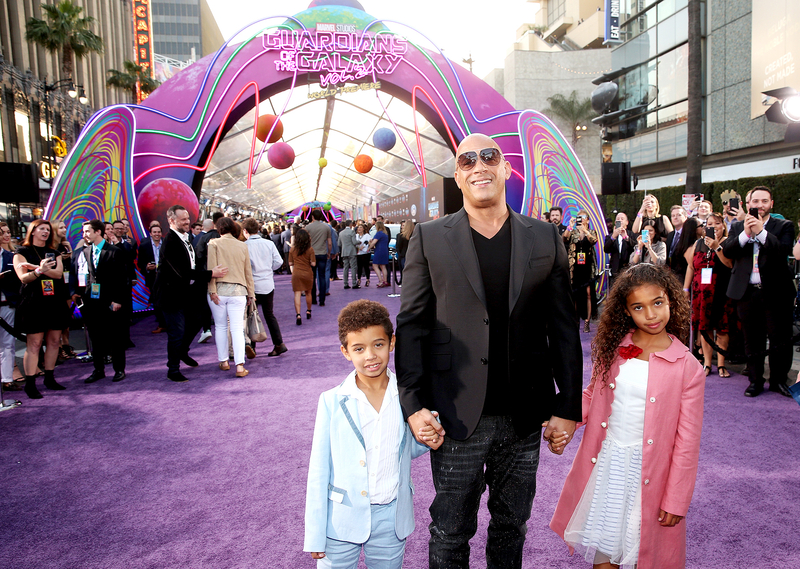 The Fate of the Furious actor, 49, sang Jennifer Hudson’s version of The Beatles’ “Golden Slumbers/Carry That Weight” from the Sing soundtrack with his daughter Hania, 9, and son Vincent, 6. “This is Diesel’s ‘Carpool Karaoke,'” Diesel captioned the Instagram video. The star and his girlfriend, Paloma Jimenez, are also parents of daughter Pauline, 2. The couple chose the name in honor of Diesel’s late friend and costar Paul Walker. Diesel, of course, loves to show off his singing chops. In February 2013, he shared a video of himself belting out Rihanna’s 2012 hit “Stay.” He’s even featured on Selena Gomez’s “It Ain’t Me” track, which dropped earlier this year.